Parents, students, friends and alumni - please save the date! 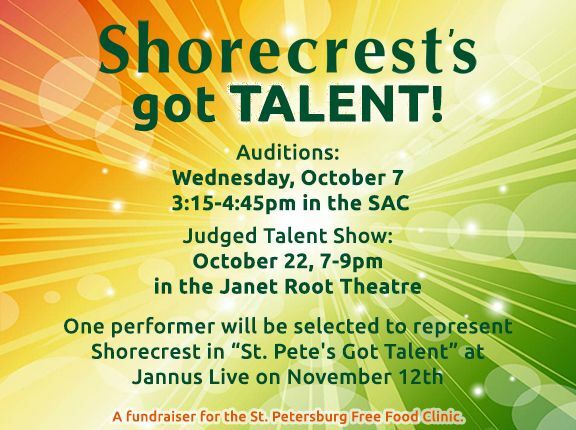 Shorecrest's Got Talent will take place on October 22, from 7-9pm in the Janet Root Theatre. Admission to Shorecrest's Got Talent is free, with your donation of at least two non-perishable items to the Fall Food Drive.